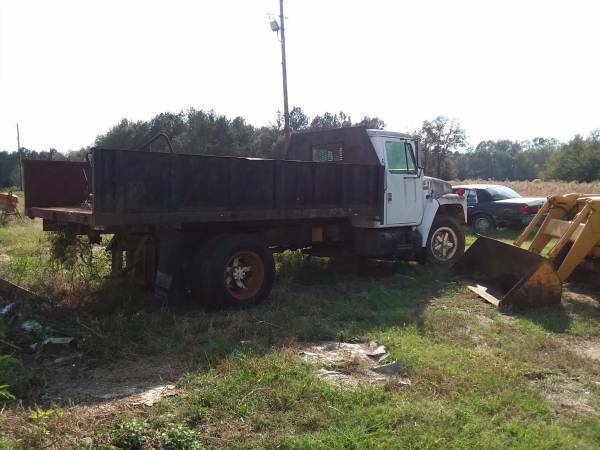 For sale by owner, my 1980 International Dump truck. This is a 1600 series model with an 8 cylinder gas engine. Hydraulics and transmission in good working condition. Removed cylinder heads and intake for rebuild, but never reassembled due to failing health. All parts present with truck. Asking $1600, but will consider reasonable offer.